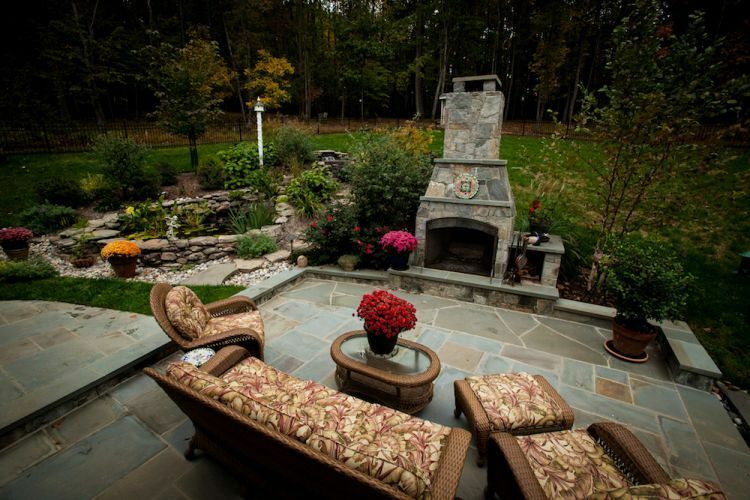 Johnson’s Landscaping offers four distinct services to our customers. Skilled, veteran, and professional artisans make up our Masonry Division. In addition, you will find our Landscape Division implements beautifully designed gardens and water features. If decks, gazebos, and evening living spaces are your desire, our Carpentry and Lighting Division can create beautiful structures and sightlines to match and enhance your landscape. 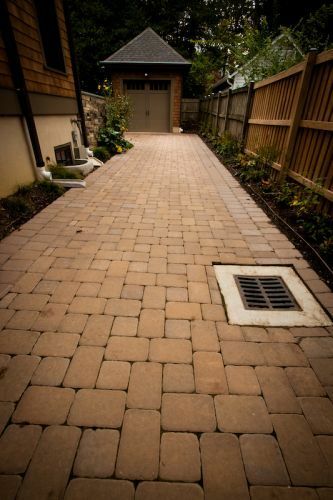 Finally, support your new garden and hardscape with the trained, professional care offered by our Maintenance Division. Does your garden need a facelift? Does your home lack curb appeal? Do you wish you had a relaxing koi pond to come home to every day? If so, you need landscape design experts to spruce up your space. Our design team has over a century of experience! They can create a unique vista that catches the eye of anyone who sees it. 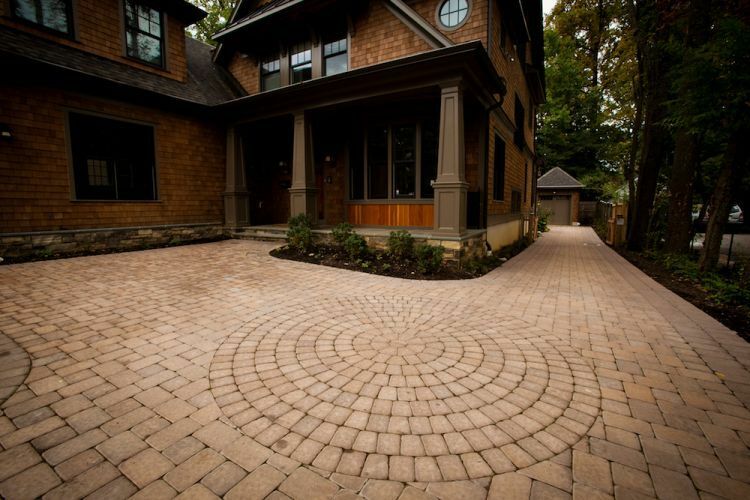 Our expert masons can build patios, walkways, stone walls, driveways and steps that will transform your outdoor spaces. You will spend more time in your yard than ever before! Johnson’s has served Northwest D.C. and Montgomery County, Maryland, since 1960. 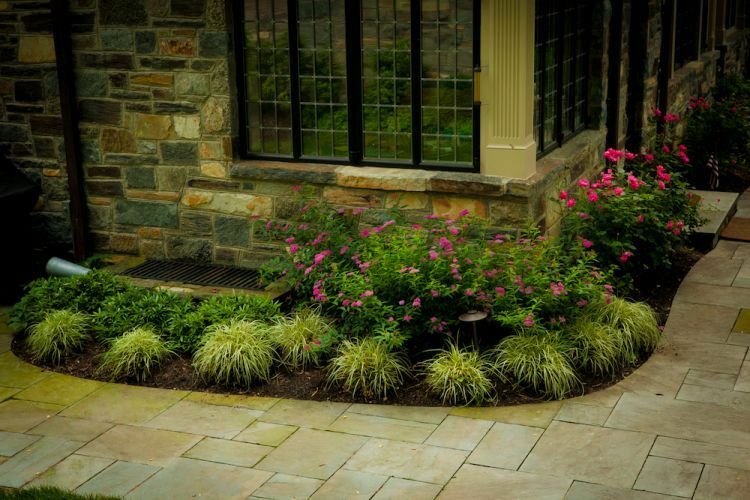 Our landscape design team has more than a century of experience. What’s the key to our staying power? Creative, custom solutions that delight homeowners. You love your new patio. 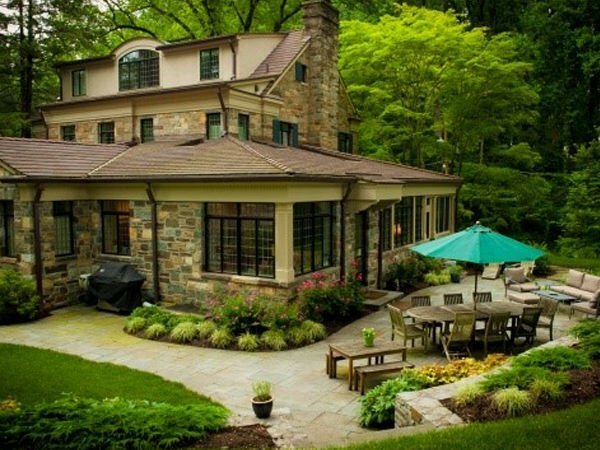 Your backyard landscaping looks pristine. What more could a homeowner ask for? 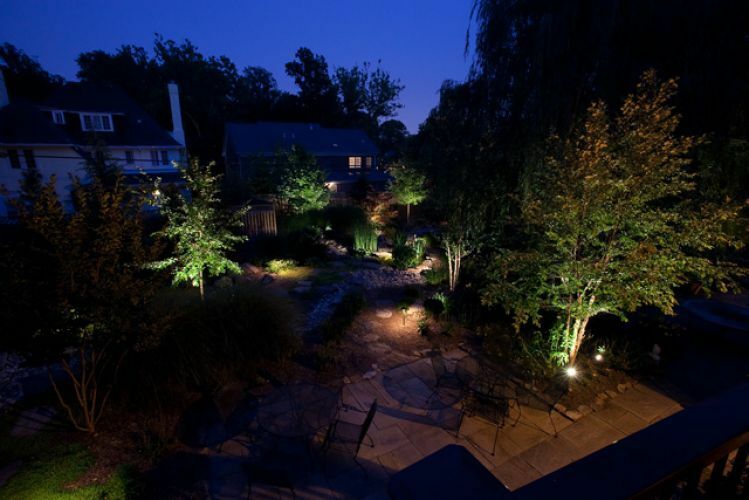 Outdoor lighting is the final touch that brings it all together. Our lighting experts can achieve precisely the look you want. Maybe you want overhead lighting so you can use your patio at night. Perhaps you need step lights to make the walk down your deck stairs safer. You may want spotlights to accentuate your new koi pond. When you move to a new home, you don’t expect to have drainage problems. But, the truth is they can happen a lot in places where the land is flat. Drainage problems can also occur if the soil is dense or in areas with a high water table. As you can imagine, designing a proper drainage system in such scenarios is crucial. In fact, it’s a priority that you must take care of sooner rather than later! Here at Johnson’s Landscaping Services, we can design and build you a drainage system. Need a comfortable place for entertaining? 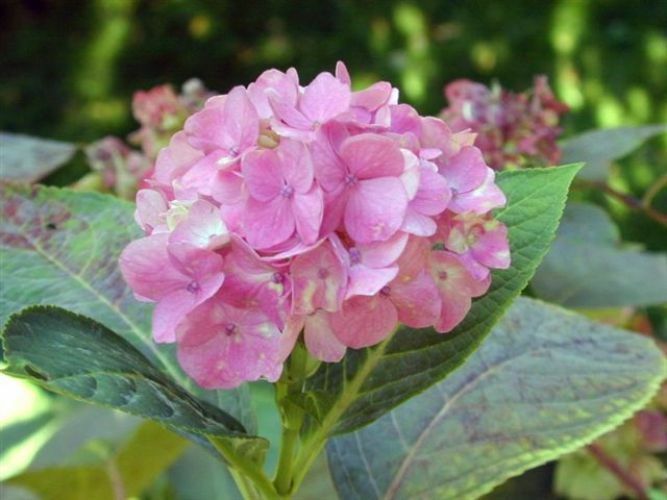 Is your garden ready for an eye-catching enhancement? 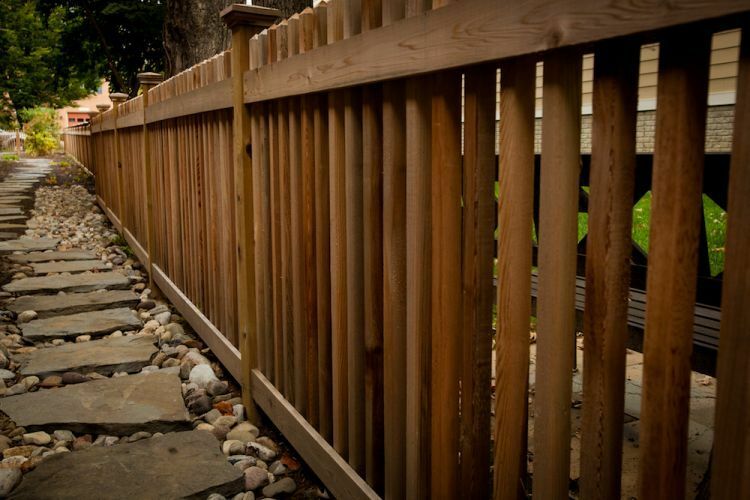 Many clients of Johnson’s Landscaping Service now enjoy better outdoor living because of the quality decks, arbors, pergolas, gazebos, trellises, and fences custom built by our carpentry team. Crafted to meet your design specifications, our decks offer our clients increased living and entertainment space. And while sitting on your deck overlooking the landscape, you can remain cool underneath a custom built pergola, designed to bring shade and, if desired, picturesque flowering vines throughout. For a better landscape and lifestyle, consider a landscape maintenance program with Johnson’s Landscaping Service. Are you able to spend enough time with your family? Can you pursue your weekend hobbies? Play a little more golf? Are you out there pulling the weeds yourself? Not sure if you’re pruning the right branches at the right time of year? Are you doing more damage than good to your plants, trees, and shrubs? Do you sometimes wonder if your home’s appearance could be enhanced? Is the value of your home what it could be with a fully manicured look?